Do you own Mac computer? Then you probably heard the old saying, “Macs don’t get viruses.” Yes? However, this saying is a myth. Macs do get viruses, and when they hit, they hit hard. From spyware to malware, adware, and hijackers too. Macs are vulnerable just like other PCs. So, why not install a good antivirus software for your Mac? After all, it is best to be safe than sorry. Unlike the lack of Notepad++ for Mac, there is no lack of virus protection software for your Mac. Here are to best antivirus software for Mac PCs. ESET Antivirus , also my favorite antivirus for Windows, doubles as an antivirus and internet security program. Also, ESET incorporates antispyware and antiphishing protection for your Mac. Both the Antivirus and Antispyware protect your Mac from viruses. The Anti-Phishing feature monitors your online activities and prevents you from visiting unsafe websites. Furthermore, ESET offers protection for removable devices like flash drives and SD cards. ESET stops unauthorized copying of private data to USB drives and other external media. Moreover, for those of us who love social media, ESET integrates with both Twitter and Facebook to protect you even further. Another good thing about ESET is that it does not slow down your Mac. This antivirus lets you play, work and browse the Internet without slowdowns. There is even a feature idle-state scanning. ESET only scans the Mac when it is not in use. There is a free trial, and the paid program is between 40 and 50 dollars. The price depends on the version you choose for your Mac. Check them out here. On AVTest, BitDefender consistently scores a rating of 100 (the max). And, unlike other antivirus programs, BitDefender carries out most of its work on the cloud. So, there is no noticeable decrease in your Mac’s performance. Furthermore, not only does the program scan for Mac OS X malware, but it also keeps track of Windows-based malware as well. And, with adware blocking, online phishing detection, and non-stop protection with AutoPilot BitDefender is the best Mac antivirus. BitDefender is the best antivirus software for Mac but let’s talk about some other virus protection for Mac. I wanted to throw in a free antivirus for Mac since the first two are paid options. In comes Avast Free Mac Security. A very popular antivirus for Mac. Avast promises not to slow your Mac down due to their “continual stream of automatic micro updates” and If you’re on a Mac running OSX, it will work. You need 128 MB of RAM and 750MB of disk space. Beyond that, you can be running just about any stable version of OSX (even Yosemite), and Avast keeps you protected. The antivirus uses a multi-platform sensor network in combination with machine learning and data analytics to protect your Mac from online threats. Norton is a big name in the antivirus world. The company prides itself as the leader of virus protection and internet security. Norton is so confident that they can protect your devices from viruses that they offer a money back guarantee. AVTest gave the software a full 100 score as it was able to detect every single threat testing. And, despite its robust and efficient malware detection, Norton has zero effect on your Mac’s performance. 100% guarantee: From the moment you subscribe, a Norton expert is available to help keep your device virus-free, or give you a refund. Norton Security. There are three different versions from which to choose. The standard, deluxe and premium version. The prices are $35, $40 and $50 respectively for the first year. However, to continue the subscription, one must pay double for each additional year. The deluxe package offers to secures multiple PCs, Macs, smartphones and tablets with a single subscription and helps you manage protection for all your devices with an easy-to-use Web portal. This feature is not available in the standard option. Furthermore, the Premium version includes parental control, automatically backups of your photos, financial files and other relevant documents of your choice on your Windows PC and it includes 25 GB of secure cloud storage for your PC with the option to add more as your needs change. I haven’t had good experiences with AVG. Why? AVG is resource intensive and can slow down computers significantly. However, that’s only my opinion. AVG AntiVirus for Mac provides automatic file scanning, drag-and-drop file scanning, and automatic updates. Additionally, AVG received full marks for virus detection on AV-Test. And, the user-interface is one of the easier interfaces to learn and use. So, if you’re ok with a little slowdown, AVG is a good free antivirus for your Mac. Video: Mac Malware explained: Do Macs need antivirus software? What is the best virus protection for mac? At the end of the day, the choice is yours. You may choose to use the antivirus you feel suits your needs. For me, the best virus protection for Mac is Eset. That’s because I like the interface and the futuristic robot mascot. 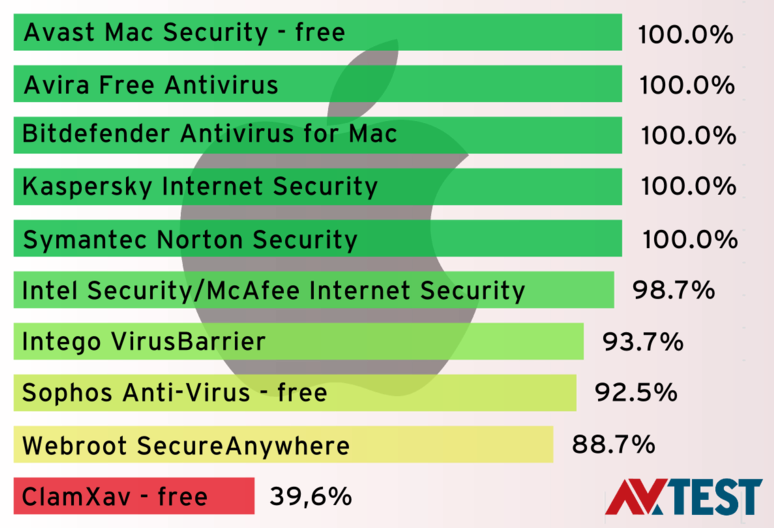 However, data shows that BitDefender and Norton do fantastic jobs at protecting your Mac from malware and other threats. However, the fact remains, you need to download one of these best antivirus software for Mac and protect your important information. And, as always, thanks for reading Best Antivirus For Mac: Top Antivirus Software For Mac Computers here on ORDUH! Do you have any favorite antivirus programs for Mac? Feel free to let us know and we would update the list accordingly. Also, do not forget to share the post with your friends!